The new update will show AMPed articles as a carousel within Google News on mobile web, Android and iOS. Google is expanding its Accelerated Mobile Pages project (AMP), integrating it on its Google News platform across mobile web, and iOS and Android. AMP is an open source initiative by Google to speed up page loads on mobile devices, thereby speeding up reading on mobile screens. The service was initially rolled out across Google Search, and has since been adapted by a number of publications, in interest of speeding up the page load process. Google’s AMP project is a similar foundation for publications to make pages load faster, hence bettering the overall reading experience on-the-go. 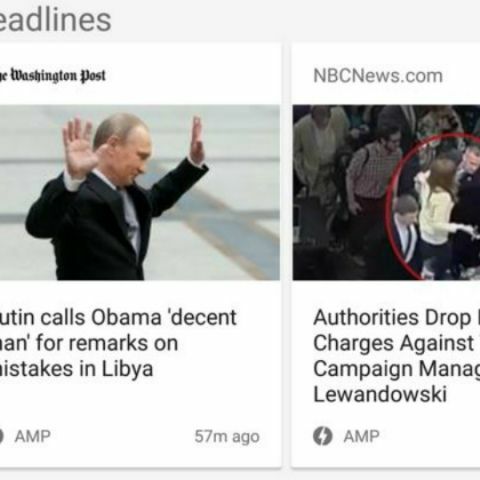 With this integration, Google News will now have an AMP carousel that lists 14 headlines. Users can continue reading on the viewer by swiping up, where AMP pages will have a lightning bolt label by their sides. This integration is somewhat similar to Facebook’s Instant Articles, which reduces the overall page size and loads faster than standard website pages. Google will also be looking to attract more readers to its platform with the AMP project, giving a fast-loading experience within news.